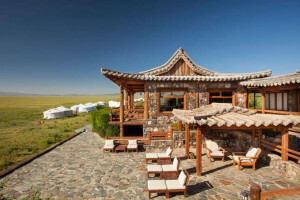 Why Three Camel Lodge, Mongolia? Three Camel Lodge is a luxury eco retreat designed to showcase the beauty of the desert and the intriguing nomadic culture of the local people, in a completely sustainable way. I hear you, ‘eco’ and ‘luxury’ sounds like a contradiction but that’s what makes Three Camel Lodge one of National Geographic’s Unique Lodges of The World. Safe to say, the proprietors have gone one better than the old mint on the pillow trick to win over Nat Geo along with a host of filmmakers, historians and explorers who have been based there. Ever Lived In A Ger? If you choke on the idea of a regular hotel, living in an authentic Mongolian ger as per ancient nomads ought to exceed your adventurous expectations. A luxury ger that is. Take a look for yourself; these extraordinary homes make glamping look like, well, camping. Imagine the sheer profundity of poking your head out each morning and being surrounded by 1.3 million square kilometres of wild desert, punctuated by colossal sand dunes, dinosaur fossils, ice canyons and whispering winds that once beckoned and beguiled Marco Polo. Away from it all alright! Your efforts to go the extra few thousand miles are rewarded by tailor-made camel treks led by expert local guides, gastronomic indulgences that you almost certainly will not have experienced before unless you happen to know a Gobi born and bred chef and spa treatments to suit the most exacting of guests. 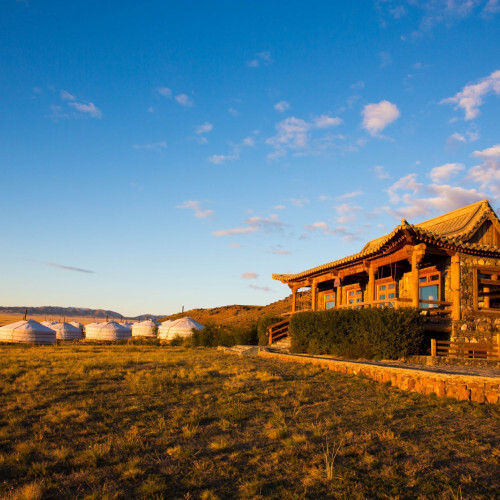 Luxury Gobi desert eco lodges in southeastern Mongolia. One of Nat Geo's Unique Lodges of the World. Detox from the modern world and the breath in the rawness of the desert.